Opioid Prescriptions in Central and Western New York. 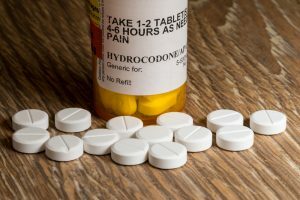 According to New York Nonprofit Media, a recent report from the New York State Health Foundation shows how opioid prescription rates vary from county to county across the state. Since 2010, the highest rates of opioid prescriptions have been in northern and central New York. The areas that report higher rates of opioid prescriptions generally have older, smaller populations. Lower populations of ethnic and racial minorities live in these areas. Additionally, these regions report higher rates of hospital treatment. The lowest rate of opioid prescriptions overall was in Brooklyn. Brooklyn reported just a quarter of the prescription rate of some of the counties with the highest rates. Sullivan County, which has a population of 77,500, reported the highest rate of opioid prescriptions. Chemung, Warren, Niagara, and Chautauqua Counties followed Sullivan County. Interestingly, Brooklyn also reported one of the highest rates of commitment to state-approved opioid rehabilitation facilities. More than 7,000 individuals were treated in Brooklyn last year, an October New York Department of Health report showed. These numbers are per capita; therefore, the total number of opioid prescriptions is far greater. However, the report shows how there are clusters of high opioid prescriptions in the Hudson Valley and western New York. Of course, the report only shows opioid prescriptions that are legally obtained. However, the report provides insight into how New Yorkers in certain areas may be more susceptible to becoming addicted to opioids. Some New York counties do have higher than average prescription rates, but no county in the state is completely safe from the opioid crisis that plagues much of the rest of the country. Opioids are prescribed at high rates, unfortunately, most commonly in rural areas with lower populations. The numbers hint that the opioid crisis could be a problem that continues to grow. A recent New Yorker article added that doctors have only been willing to prescribe opioids for a variety of symptoms for about the last twenty years. Some argue that officials from pharmaceutical companies have tried to mask the risk of addiction these substances have for many users. Opioids include a number of drugs that may be legally obtained with a prescription, including fentanyl, hydrocodone, oxycodone, and morphine. Heroin is also categorized as an opioid. Opioids work by relieving pain and providing a pleasurable feeling. Opioids do this by chemically interacting with opioid receptors in the brain. OxyContin has been the opioid of choice for many individuals battling opioid addiction. OxyContin was created by Purdue Pharma and is marketed by Abbot Laboratories. Its active ingredient is oxycodone hydrochloride. Generally, most painkillers that contain oxycodone last about 4 to 6 hours. However, OxyContin has a time-release formula, so that it may provide pain relief for up to 12 hours. In the extended release version, there is usually an even higher dose of oxycodone. In 2015, it was estimated that 20.5 million Americans aged 12 or older had a substance abuse disorder. Approximately 2 million abused prescription painkillers, and 591,000 used heroin. In fact, some hypothesize that around 23 percent of those who use heroin develop an opioid addiction. Additionally, drug overdoses are the top cause of accidental death in the United States. In 2015, there were more than 50,000 deaths attributed to drug overdoses. Prescription painkillers caused roughly 20,000 of these deaths, and heroin caused nearly 13,000 deaths. Since the late 1990s, it is estimated that more than 300,000 Americans have died because of opioid overdoses. It is predicted that another half a million Americans will succumb to opioid addiction in the next ten years. Opioid addiction has exploded in recent years—one New York Times article stated that the number of opioid-related deaths probably exceeded 59,000 in 2016, which would be the largest annual increase in the United States’ history. It is not surprising for many, however, because the number of opioids sold since the 1990s has quadrupled. Pharmaceutical companies have knowingly provided addictive painkillers to the general public—how can they be held accountable? After all, isn’t it the patient’s choice to take the pills? Lawsuits have already been filed against drug manufacturers—and, in fact, numerous cities, counties, and states have filed claims against these companies, seeking to recoup the costs they have endured for treating residents for opioid addiction. The suits are worth billions of dollars. Damages may include public health care expenses, drug rehabilitation services and centers, and the cost of incarceration, law enforcement, and criminal justice. Originally, opioids were prescribed for cancer patients. However, pharmaceutical companies began marketing them for other uses. For example, patients who suffered from chronic pain began receiving prescriptions for opioids. OxyContin sales jumped from $48 million in 1996 to a whopping $1.1 billion in a recent four-year term. Finally, OxyContin became the most commonly prescribed Schedule II narcotic in the country. These are only a few of the claims that may be filed against a pharmaceutical company. Depending on the facts of the case, several more claims may be pursued. Opioid addiction is a national problem. These substances have been provided across the country, and pharmaceutical companies have reaped the benefits. Since many states are pursuing claims against pharmaceutical companies that contain similar legal issues and similar facts, some are trying to consolidate the claims into multi-district litigation, or MDL. So long as there is a common question of fact, the claims may proceed as an MDL. This means that one judge will oversee the entire case. Many plaintiffs prefer MDL because MDL is more cost-effective and MDL prevents inconsistent results. Several states have successfully pursued claims against drug manufacturers. In 2015, Purdue Pharma settled a claim with Kentucky for $24 million. In 2016, Cardinal Health, Inc. settled claims with Florida, New York, and Maryland pharmacies for $44 million. Need Legal Help Regarding Opioid Prescriptions?